Steaming is a great way to cook a whole fish and capture the unique tastes a given species has to offer. 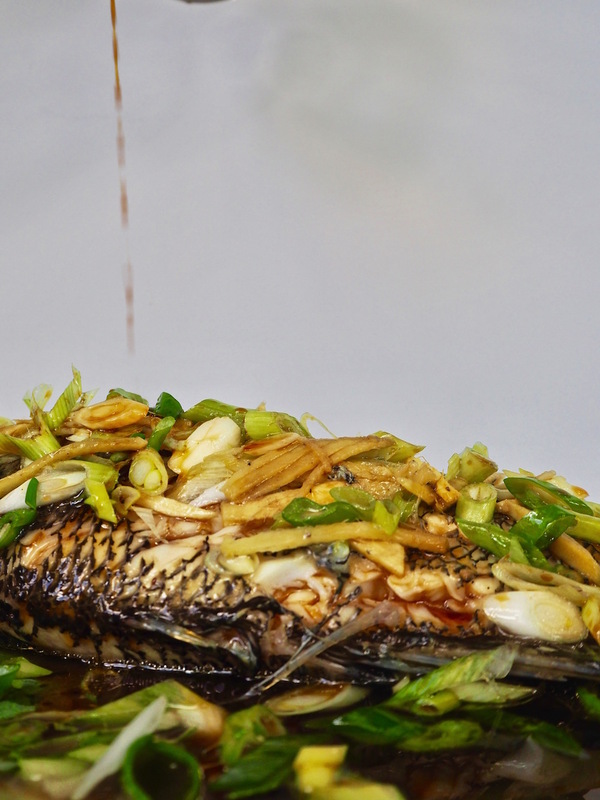 Pro tip – the juice from your steamed fish is perfect for pouring over rice. Rinse fish with cold water and pat dry. Salt and pepper the inside and outside of the fish and add half the sliced ginger to the stomach. Prepare your steamer. Fill a large pot with an inch of water, and place a heatproof plate in the middle. Place fish on the plate. If you need to trim the tail off the fish to make it fit, that’s fine. Place the rest of the ginger on top of the fish. Bring water to a boil over high heat, then lower to medium heat (a steady simmer). Cover pot with a tight lid and steam for 8 minutes or until the fish flakes away from the bones easily with a fork. Carefully remove fish from steamer and place on a large plate or platter. 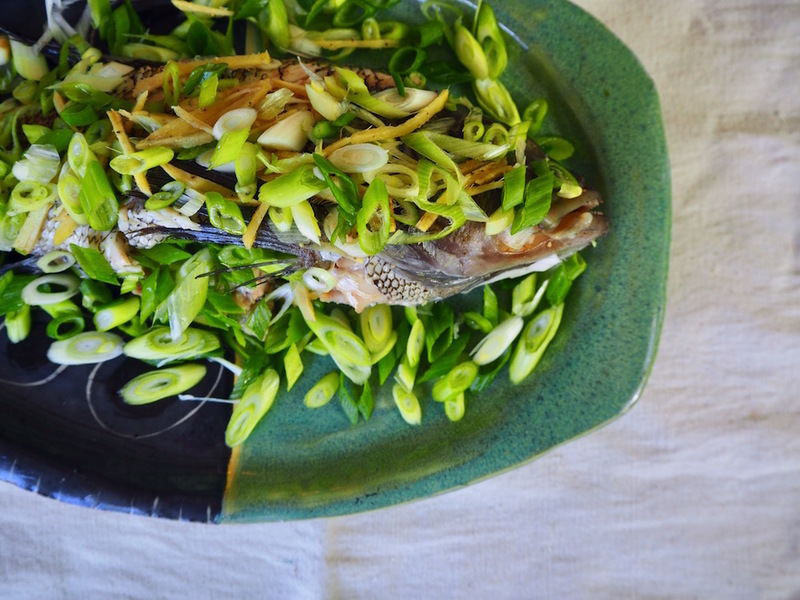 Top with scallions. Heat neutral oil until it shimmers, then pour gently over the scallions and fish. Pour soy sauce over that. Serve with rice or by itself.